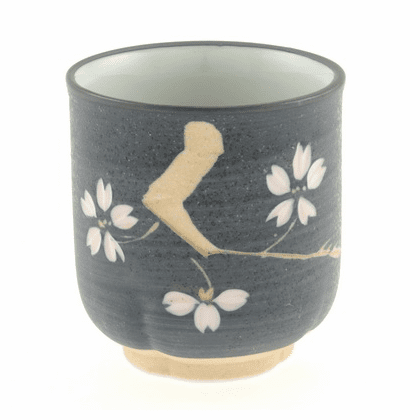 Cherry Blossom Tea Cup 10 oz. Home | Ceramic Tea Cups & Mugs | Etched Porcelain Sushi Tea Cups | Cherry Blossom Tea Cup 10 oz. Etched porcelain ceramic cherry blossom tea cup.